The 4th annual ED Games Expo in Washington, D.C., this week will feature over 50 learning games and technologies. We’ll have videos with various speakers and footage of the event to show you on Wednesday, when the expo kicks off, but here’s a sneak peek at some of the games and apps that will appear on the show floor. 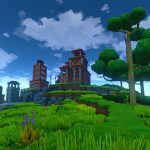 “Eco is an online game where players must collaborate to build a civilization in a world where everything they do affects the environment,” developer Strange Loop Games told Classcraft. 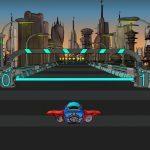 “Teachley will be showcasing their new Fractions Racer game to be released in early 2017,” the developer told Classcraft. 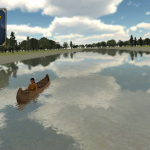 “7 Generation Games makes video games and apps that teach standards-aligned math using historically accurate storylines integrated in virtual worlds where math matters to survival,” the developer told Classcraft. 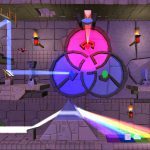 “Happy Atoms is a physical and digital teaching tool that allows users to discover the world of molecules in an intuitive, hands-on way,” developer Schell Games told Classcraft. “Users create a molecule from plastic atom models that connect easily using magnets, then they discover the identity of the molecule they built by scanning it with our app. “The app uses vision-recognition algorithms to (seemingly) magically detect the molecule that has been built. 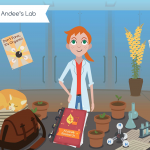 In addition to scanning molecules, users can explore the ones they discover, assemble collections of them, and complete guided chemistry tasks in the app. There are three sets of Happy Atoms available: the introductory set (contains 17 atoms and able to make 508 molecules), the complete set (contains 50 atoms and able to make 17,593 molecules), and the educator’s bundle (contains five complete sets). 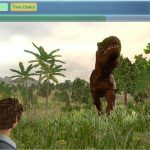 “With a 2010 ED/IES SBIR award, Filament Games developed PLEx Life Science (Play, Learn, Experience), a suite of learning games aligned to next-generation science standards for middle school students,” developer Filament Games told Classcraft. “Games in PLEx focus on topics such as photosynthesis, the structure and function of cells, heredity, or the effect of viruses on the human biological system and have since expanded to include a broader selection of STEAM content as part of the Filament Learning Library. 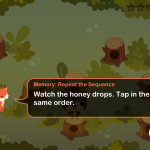 The library includes curriculum for teachers to integrate the games into classroom practice. Filament will be showing the following games: Reach for the Sun, a plant structure and processes learning game; Cell Command, a cell structure and processes learning game; Fossil Forensics, a unity and diversity learning game; Crazy Plant Shop, a plant genetics learning game; Dr. Guts, a body systems learning game; and You Make Me Sick!, a bacteria and viruses learning game. 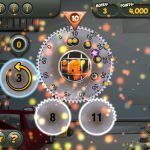 “Recently recognized by Digital Promise for its excellence in applying the Learning Sciences, BrainQuake will demo its flagship app, Wuzzit Trouble, along with first-time looks at patent-pending assessment metrics and an accompanying instructional tool designed specifically to facilitate transfer between the app and mathematics’ symbols and syntax,” Brainquake told Classcraft. “Notably, Wuzzit Trouble is backed by peer-reviewed, published comparison group efficacy research led by Stanford University and Tampere University of Technology, Finland. “‘You are made of Stardust that was once in the body of Albert Einstein and the last T-Rex …’ That is the clue that sends a team of four players, ages 8-13, on a quest to identify Stardust (atoms) in their body and trace the atomic trail of recycling and inheritance back through the history of the Earth and universe, all the way back to the Big Bang,” developer The Beamer told Classcraft. “The quest starts in the Dynamic Mystery Museum with interactive exhibits, where players learn their missions, some science, and their roles as crew members of the Beamer, a dimensional time-and-space travel machine. Players use the Beamer to explore their own bodies to learn the probable number of carbon atoms inherited from Einstein and the last T-Rex. Then they follow the trail of carbon inheritance to 1955, where they can have a verbal conversation with expert avatar, Einstein, to the Ice Age 0.05 million years ago, the Dino Extinction era, Pangaea, and Earth’s formation. 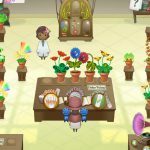 “Kiko’s Thinking Time is a tablet and web-based program that trains cognitive skills necessary for school readiness including executive functions, with a focus on memory, attention, and reasoning,” developer Kiko Labs told Classcraft.